Who needs CYBER MONDAY when RainbowDepot is continuing our AMAZING BLACK FRIDAY DEALS! 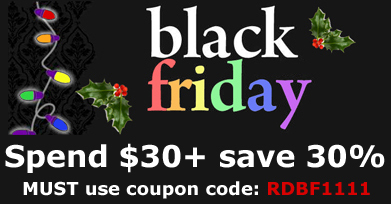 RainbowDepot is here to brighten up Black Friday with an amazing deal! At Rainbow Depot, we take a lot of pride in providing the most incredible selection of gay, lesbian, bisexual and transgender gifts at the lowest possible prices. From big gifts to small, if there is someone special on your list, you'll always find it under the rainbow. At Rainbow Depot, you'll be sure to find gifts for everyone on your gift list. Or, buy something nice for yourself for a change to show your gay pride or at your next gay pride event or daily wear. And if there's something special you're looking for but can't find on our site, please let us know by sending us an email or filling out our contact form. Thanks for visiting us -- we hope you enjoy your gay and lesbian shopping experience at Rainbow Depot. If you're into RAINBOWS and GAY PRIDE then you need to get into RainbowDepot! Browse and shop our Christmas Ornaments at Rainbow Depot, they will certainly light up your tree or other decorations with LGBTQ pride! 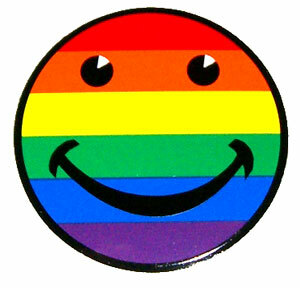 The Rainbow Depot stocks the items to make your gay and lesbian pride easy to share. We know how important it is to be yourself and show it to the world! When the gay, lesbian, bisexual and transgendered community and open-minded people everywhere search for the most spectacular gifts to show their pride and support, they always follow the Rainbow Depot to find their pot of gold. We carry a mind-boggling selection of colorful rainbow-themed apparel, jewelry and other gay gift ideas, and always at the lowest prices around.